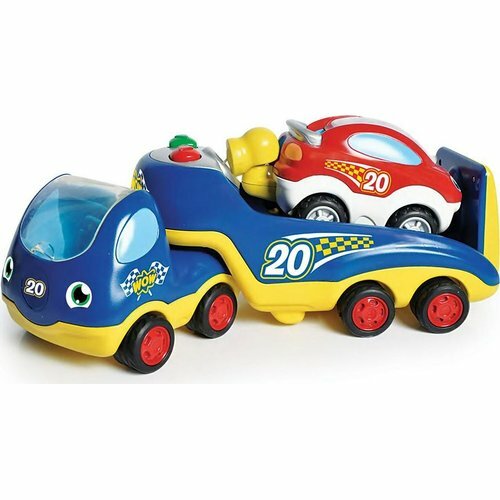 Use Rocco from WOW Toys to transport Axel the race car to the track for thrill filled day of racing! 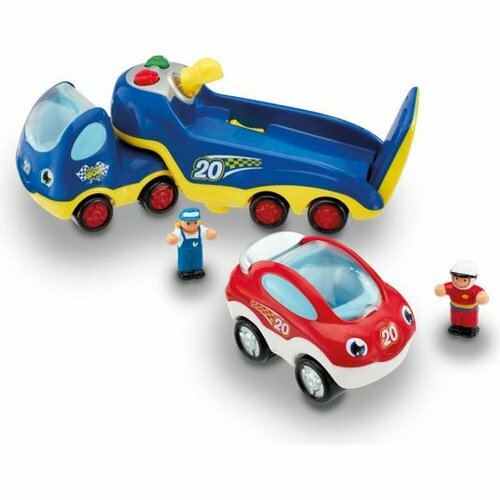 Let Rocco's powerful motorised engine send him off to the race track! Development Skills: Encourages development of motor skills • Inspires imaginative and creative role-play. Open the clicking tailgate and press the red button to release Axel the race car onto the track. Fit the racing driver figure into the drivers seat and head to the start line. Push him along and watch him race! After a long day of racing, pull out the sturdy magnetic winch and attach it to the race car. Press the green button to bring the car onto the trailer and take the whole team home.